European cars are world-renowned for their performance, class, and quality. However, through the years, many people have begun to notice the advantages of buying from a Japanese car auction. After all, European cars can be bought from these auctions at a more affordable price. So, if you are in Poland and you wish to purchase from a used car online auction, let us help make the process easier. We’ve prepared a step-by-step guide on importing a used vehicle from Japan to Poland. The first thing you have to do is search for the vehicle you like and send us an inquiry. We will respond promptly and send you a free quote. Once you approve the quotation, we will send you a pre-forma invoice. On the other hand, if you cannot find the vehicle you like, you can opt for our used car online auction tool. Once you’ve approved the quotation, please settle the full payment within 48 hours. After that, send us an e-mail with the T/T documents from the bank. The amount should cover the cost of the vehicle, the shipment fee, and the charges from Japan to the discharge port. You can also pay for the fees via PayPal. You will be issued an invoice with a link to the PayPal site. Simply click on that link, log in, then confirm your payment. 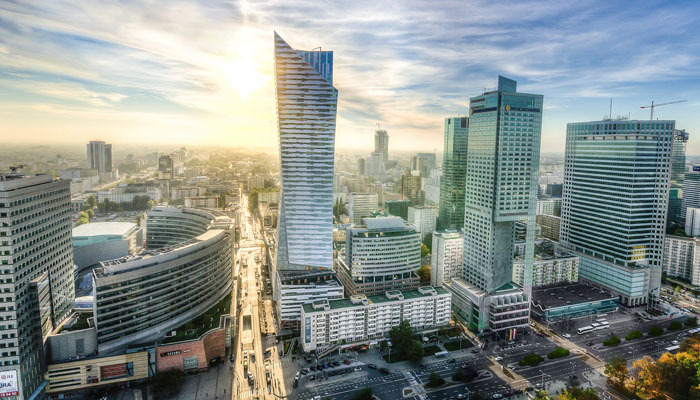 When shipping a used car to Poland, you can choose from two ports of delivery—Port of Gdańsk and Port of Gdynia. After the payment has been confirmed, your used Japanese car will be loaded on the ship for delivery. You will receive a notification regarding the departure and arrival time of the ship. Moreover, all the necessary documents from our end will be sent to your address. All you need to do is process the fees and documents in Poland to be able to claim your vehicle. All used vehicles from Japan that are older than six months and have over 6,000 km of mileage are subject to excise tax. The excise tax is computed based on the age and size of the engine and vehicle. The fees range from 3.1% to 65%. Additionally, a 22% VAT is charged on the vehicle. Passenger vehicles in Poland have to undergo a roadworthiness test. This has to be done within three years of registration, then within the next two years, and then once a year from then on. All used vehicles imported in Poland must be registered in the name of the current owner. Keep in mind that you can only ship vehicles that have been used for at least six months in Japan. Moreover, the vehicle must be used in the same manner once it is in Poland. You can go to the District Authority (starostwo powiatow) or the Town Council (urząd miasta) to register your vehicle. Keep in mind that used vehicles imported into Poland must not be sold, rented, lent, or used by another person other than the registered owner for a year following the shipment. Failure to follow this rule will incur a Customs charge on the vehicle. The fine is computed according to the condition of the vehicle, its value, tariff rates, and duties in force on the day it was transferred. The Renault Clio is a small car featuring a 1.2-liter engine. However, you can expect it to perform efficiently and render a smooth and comfortable handling even when you throw it around corners. What’s more, it attracts positive attention. If you want a vehicle that has more distinctiveness and character than other small vehicles in its class, then the Renault Clio is perfect for you. Needless to say, it is an agile car that is fun to drive. With a spacious boot and folding rear seats, the Yaris is perfect for families with plenty of cargo to carry. It provides a comfortable ride, excellently handling high-speed undulations and bumpy roads. It is also worth noting that the design and layout of the Yaris allow it to be tuned for rally racing. Some of the most popular models that have competed in international rally championships are the Toyota Yaris GRMN and the Toyota Yaris WRC. The Mitsubishi Lancer EVO might have been manufactured exclusively for use in Japan. However, it was so good that its legend crossed continents and archipelagos. If you are someone who values handling and speed above all else, then this is the right vehicle for you. In a way, it feels like a love child of a SpaceX rocket and an economy sedan. Yes, that’s how cool it is! The Lancer EVO is available in various powertrains, including a six-speed dual-clutch automatic and a five-speed manual, among others. If you are looking for a compact vehicle that is refined yet affordable, then the Volkswagen Golf is the ideal car for you. While most economy vehicles prioritize fuel economy over other qualities, the VW Golf still promises this without compromising performance and handling. It can offer pleasing levels of refinement and responsiveness, giving you an exhilarating experience behind the wheel. Do you want to import any of these affordable used vehicles to Germany? Comment below which car you’d like to buy! Hybrid Cars: What are the Pros and Cons?